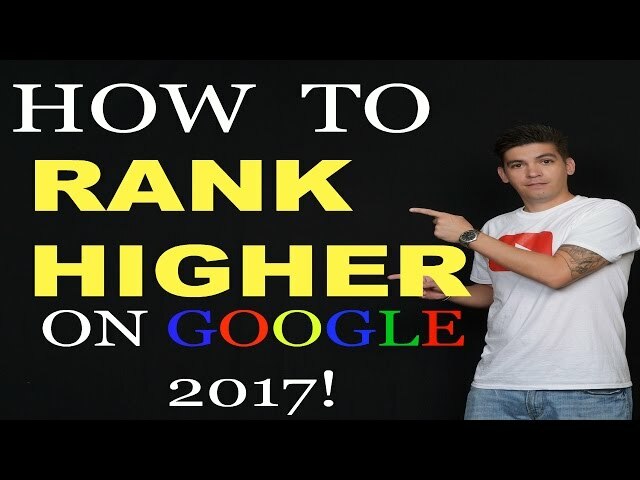 Learn How To Rank on google with SEO. This is a SEO tutorial for beginners and we use freelancer.com in order to bring more savings and to outsource your SEO. By using this website, you can start your seo strategy and really start to rank your website on google and other search engines. Please watch this SEO tutorial all the way, there is a lot i talk about with SEO strategies and SEO techqniues. I personally recommend hiring compaines from India to outsource your seo! This is a SEO Tutorial For beginners so take your time and choose your freelancer wisely for your seo campaign! why u won’t prefer seo to nepali ?? You mixed the companies on chat section 😀 Do I have any chance to get helped for my Turkish Website? Hi Darrel and thanks for this video. Question. Why won’t Google rank a webpage for a cafe in a small town (1000 people). If I search “cafe name” in “city” it still won’t show the link to the website. There’s no competition so I don’t see why Google wouldn’t rank it higher. i am learning a lot from your videos. 2nd: Do you know any similar method to find companies which will do it for you but in Spanish? ok question. I know you can hire someone but what do they actually do and can A site owner do it them selves? cud you make or send me a video that shows how to rank ourselves? Is it worth it to pay rather then do the work yourself? I run a small jewelry website in Denmark, that are very niche-based. What are your experience with non-English sites and the use of Indian SEO companies? Normally the recommendations for back-links to a Danish website (.dk domain) is that a large part of the links must come from .dk domains. Or? I guess that most of the back-links from an Indian company is from English-based sites. Hey Darrel, On my wordpress page, Yoast does not detects my content. it says I do not have any words in my page but I do have close to 6 hundred words in my page. I am using theme that has page builder option and all the content is in those page builder section. when I copy and paste this content into wordpress page it reads but then I have duplicate content. planning to buy SEO service for a classified website. i will need your recommendation when i am set for this. just to be very cautious of the offers on the freelancer website. thanks ! Wilson. how is this outsourcing different from using metatags in my html header? Hiring someone with excellent English skills is imperative. Cannot be over stated. Thanks for the video. What exactly are they doing regarding SEO? Where are they accessing/editing/creating content on the wordpress site?? I mean, how could they write original content when a site is personal experience, etc.? Great tutorial, however, it seems unfinished. When will you be bringing out the next version? Hi Darred, I like your video! So useful! But do you have names of persons/ companies on freelancer with who you already worked to improve your SEO? Thank You Darrel for this video. It’s a very helpful video.. But one complain. You know that ranking for “Best Attorneys in Las Angeles” is almost impossible but that “esagetech” company doesn’t know that, and how they will know until they work on that keyword. You said that company “A complete lier” by just reading its first message. It was sad. Every SEO compnay will talk like this (Yes it can be done. We will try our best) if they do not have a prior-experience and research on that specific keyword. Rest the tutorial was so helpful.